I love my sis. 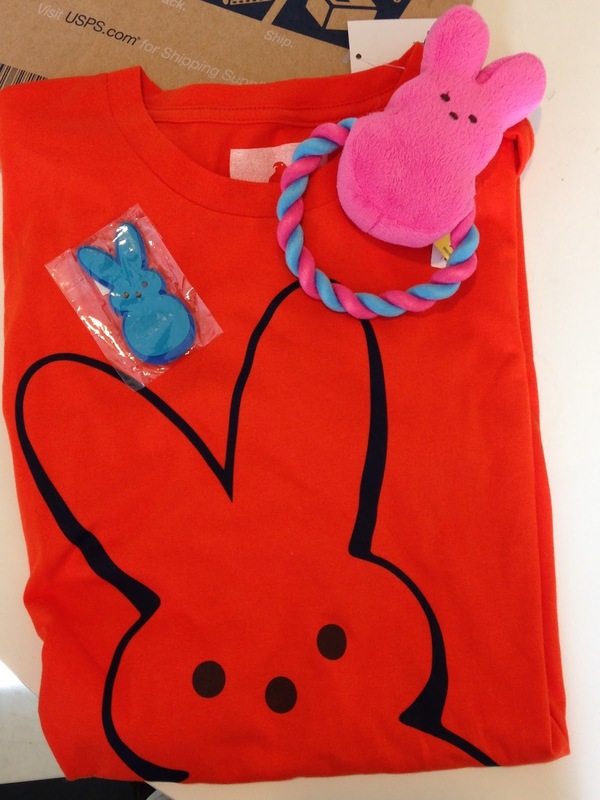 She sent me this super cool PEEPS care package for easter. 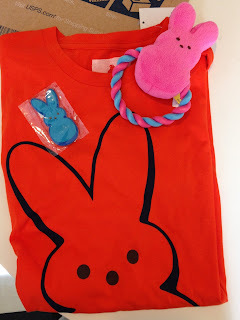 The T-shirt is super comfortable and she even send my dog (Panda) a little PEEPS chew toy. Awe. A good friend of mind has always been a PEEPS fan and he would make art-work out of them. There's just something so fun, yummy, and chewy about those little yellow marshmallows every year. I've always loved them.